DIED JUNE 7, 1917. AGED 79. Alfred Winkfield was born in London on 20 October 1837 and baptised at St Martin-in-the-Fields Church on 20 February 1838. He was the third son of Richard Winkfield, a wine merchant of London, and his wife Mary Ann. Alfred was only one year old when his father died near the end of 1838. At the time of the 1841 census when he was three he was living at St Pancras in London with his widowed mother Mary and his older brothers William (6) and Richard (4). By 1861 they were living at 33 Tavistock Street. Alfred Winkfield was apprenticed to the Bedford surgeon William Thurnall, and then went to St Bartholomew’s Hospital, where he took the M.R.C.S. in 1859 and the L.S.A. in 1860. He then came to Oxford, and from 1860 was House Surgeon at the Radcliffe Infirmary. The 1871 census shows Alfred (23), described as House Surgeon, spending the night at the Radcliffe Infirmary. He was matriculated as a non-collegiate student at the University of Oxford on 3 November 1870 at the age of 33, describing his wine-merchant father as a gentleman in the register. From 1872 to 1892 he was Medical Officer of Health for the City of Oxford, and Surgeon to the Great Western Railway. Rosalie (or Rosalia) Anna Wilson was born in Dublin in 1846/7. 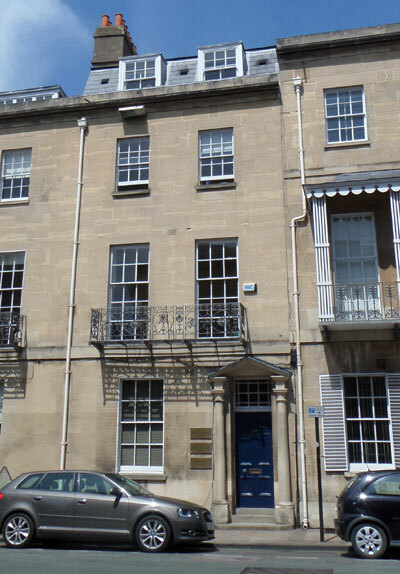 At the time of the 1871 census she was 24 years old and staying at 1 Sheet Street, New Windsor with her sister Mrs Amelia Bower and her husband Edmund Bower, who was a General Practitioner. Alfred Henry William Winkfield, known as Alfie (born at Beaumont Street, Oxford in 1874 and baptised at St Mary Magdalen Church on 1 July). In 1878 Winkfield was appointed Surgeon of the Radcliffe Infirmary. At the time of the 1881 census Alfred Winkfield (43) and his wife Rosalie (34) were living at 26 Beaumont Street (right) with their son Alfred (6). They had two servants (a cook and a housemaid). † Alfred Henry William Winkfield died at 26 Beaumont Street at the age of 7 on 5 January 1882 and was buried at St Sepulchre’s Cemetery on 9 January (burial recorded in the parish register of St Mary Magdalen Church). Winkfield was appointed Litchfield Lecturer in Surgery at the University in 1883/4, 1889/90, and 1896/7. At the time of the 1891 census Alfred and his wife Rosalie were at 26 Beaumont Street with two servants. In 1900 Winkfield retired from his post as Surgeon to the Radcliffe Infirmary, and continued to live at 26 Beaumont Street, concentrating on his directorships of the Randolph Hotel and the Grimbly Hughes bakery. † Mrs Rosalie Anna Winkfield née Wilson died at 55 Brunswick Road, Hove at the age of 60 in May 1907 and was buried at St Sepulchre’s Cemetery on 8 May (burial recorded in the parish register of St Mary Magdalen Church). Her effects came to £2,057 12s. 2d., and her husband was her executor. 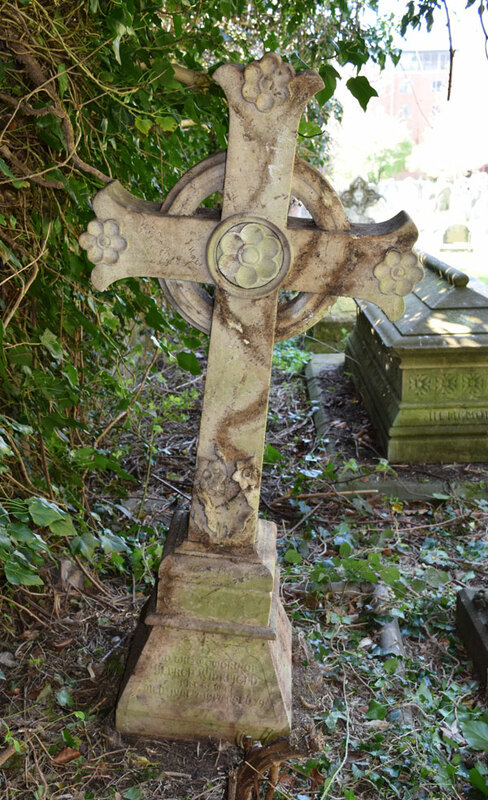 † Alfred Winkfield died at 26 Beaumont Street at the age of 79 on 3 June 1917 and was buried at St Sepulchre’s Cemetery on 4 June (burial recorded in the parish register of St Mary Magdalen Church). His photograph appeared in the Oxford Journal Illustrated on 6 June 1917. His effects came to £18,900 2s. 2d., and his executors were the barrister Charles Miskin Laing and the doctor Charles Franks Winkfield.